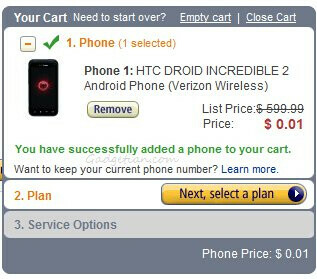 Nearly a month after it officially launched, Verizon’s HTC Droid Incredible 2 is priced at the oh so easy to buy price of only a single penny with your signature on a 2-year agreement. Regularly going for $200 through Verizon directly, it goes to show the kind of allure Amazon is able to cough up – mainly because they’re so competitive with handset pricing. However, you’ll be required to follow a certain guideline throughout your contract period so that you won’t be penalized later on. Moreover, it’s worth mentioning that existing customers with qualified upgrades will need to shell out $49.99 to pick it up, which is still undeniably a great deal no matter how you look at it. Therefore, if you’re holding out from picking up any of Verizon’s LTE enabled handsets and still want something high-end, then the HTC Droid Incredible 2 is a fantastic handset that will satisfy your needs – while saving you some hard-earned cash at the same time. Great deal for this phone. 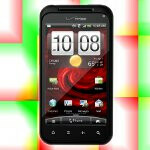 If you're not fussed about dual core or 4G this is one of the best phones on VZW. Damn... I thought I had a good deal at $119 two weeks ago when I upgraded mine!